The fonds consists of records from the Parks and Recreation Department which reflect a wide range of responsibilities held by the Department over time including correspondence files, annual reports, financial records, reports, minutes, and publications. The records date from 1905 to 1981, with material from the 1960s and 1970s predominating. 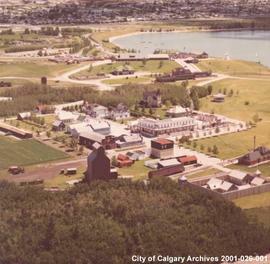 For more information regarding the City of Calgary, Parks & Recreation Department scope/content information, please link to the City of Calgary Archives homepage and click on the "fonds level descriptions" link. Includes 2200 photo prints, 1256 photo negatives, 500 slides, 60 drawings, 15 video cassettes, 10 film reels. Records were transferred either directly from the City of Calgary, Parks & Recreation Department or from the Civic Records Centre in several separate transfers.